Usually caused by the Herpes Simplex Type 1 Virus, cold sores are characterized by the appearance of fluid filled sores and blisters on the lips and mouth. In severe cases, the sores can also occur in the throat. The initial symptoms of cold sores usually include a tingling sensation in the infected region which is soon followed by the appearance of blisters. 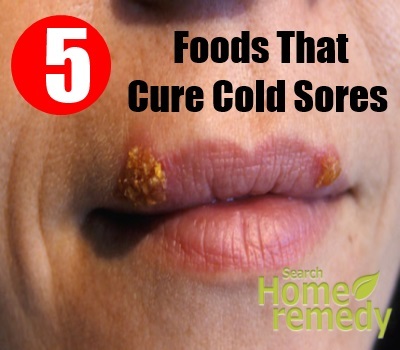 Eating anything that contains lysine is considered as a very effective natural remedy for cold sores. Lysine would work against arginine, a compound in the body that aids in the growth of the Herpes virus. 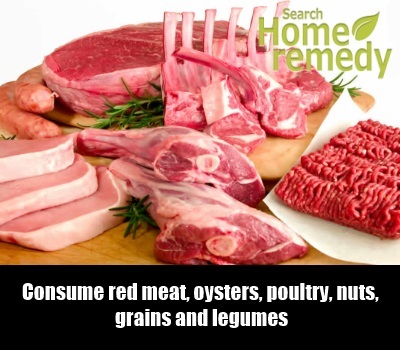 This would effectively curb the symptoms of the condition and cure the blisters quickly.Continuing to eat foods rich in lysine would also prevent the sores from recurring and would keep the body free from infections caused by the Herpes virus in general.Accordingly, some of the lysine rich foods you can incorporate in your daily diet in order to treat cold sores would include milk, cheddar cheese, eggs, yogurt, tuna fish, chicken, turkey, tomatoes, beets, mangoes, apples, pears, apricots and papayas. Quercetin happens to be an abundant natural source of compounds called flavonoids (also called bioflavonoids) which can effectively prevent the herpes virus from multiplying and spreading. 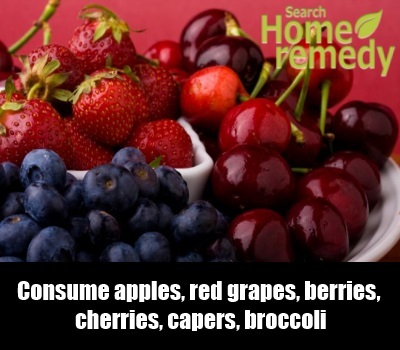 Flavonoids contain potent antiviral properties that would help stop the herpes virus in its tracks, thereby curing the cold sores and preventing recurrences.Some of the best natural sources of quercetin include apples, red grapes, berries, cherries, capers, broccoli, lovage and all kinds of colorful fruits and vegetables. Enriching your skin with Vitamin C can help strengthen it and fight off the infection on its own, thereby treating cold sores effectively in addition to preventing further outbreaks. So make sure you add plenty of foods rich in Vitamin C to your daily diet.Some of the best natural sources of Vitamin C include citrus fruits like oranges, lemons, strawberries, leafy green vegetables like cabbages and lettuce, broccoli and Brussels sprouts etc.Certain foods which are rich in Vitamin C may also be acidic in nature. 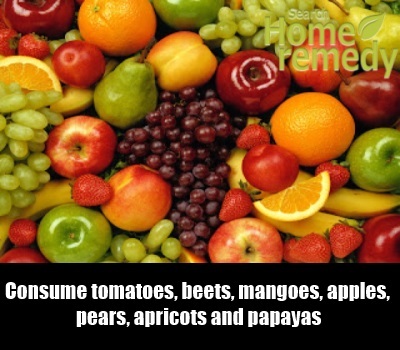 The acid content in these foods could aggravate the symptoms of the infection. 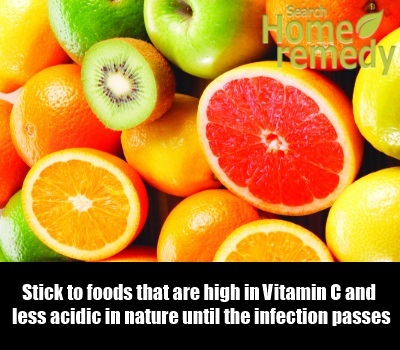 So stick to foods that are high in Vitamin C and less acidic in nature until the infection passes. Studies have revealed that zinc can effectively inhibit the herpes virus from spreading. Zinc can also strengthen the immune system and make it more resistant to viral and bacterial infections, including cold sores.In addition to using zinc as a topical application (in the forms of creams and ointments), you can opt to eat foods rich in the nutrient to successfully combat the cold sores from inside as well.Some of the best natural sources of zinc you can opt for include red meat, oysters, poultry, nuts, grains and legumes etc. Your body would need Vitamin B6 in order to absorb zinc properly. So include foods rich in Vitamin B6 in your daily diet as well. Antioxidants can cleanse your body of viruses and other harmful pathogens that could lead to infections like cold sores. 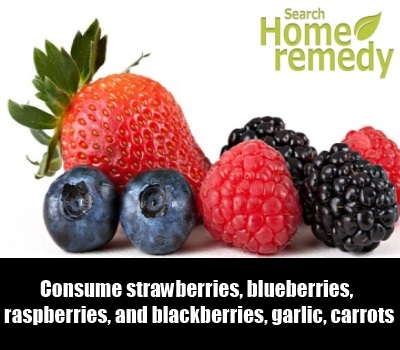 Upping your intake of foods rich in antioxidants can therefore help treat cold sores effectively and prevent recurrences.Some of the foods rich in antioxidants include berries like strawberries, blueberries, raspberries, and blackberries, garlic, carrots, whole grains and kale etc.